There are probably more strategic locations to launch an assault on the beer world, but in late 1842 an unlikely beachhead appeared in the small Czech town of Pilsen—right in the middle of a religious holiday. On Nov. 11, Pilsen’s citizens tapped the first barrels from their new, bottom-fermenting brewery during a festival in honor of St. Martin. Those first sips didn’t make international news. But within 30 years, their brewery would be renowned around the globe, inspiring thousands of imitators and sending dozens of older beer styles to the graveyard. The owners of the new brewery—a group of 250 citizens who held the legal right to brew beer in Pilsen—never intended to take over the brewing world. In fact, building a bottom-fermenting brewery was a defensive move: By the late 1830s, Pilsen was being flooded by waves of imported dark lagers, both Czech and Bavarian, which threatened sales of the town’s older, top-fermented brew. But through a series of happenstances—Pilsen’s soft water, excellent hops from Saaz and the decision to use a new, so-called English-style malt kiln (creating an extremely pale malt)—the beer from their bottom-fermenting brewery was a sudden sensation: the world’s first golden lager, unlike anything most beer drinkers at the time had ever seen. And then, of course, there was the taste. Now known as Pilsner Urquell—the last word means something like “original source” in German—the original citizens’ brewery in Pilsen has grown into a massive enterprise, expanding numerous times during the 19th century alone. Today it’s part of the global brewing giant SABMiller. Yet it remains a favorite at home in the Czech Republic, which famously consumes more beer per capita than any other country. It doesn’t hurt that Pilsner Urquell is 4.4%, making it easy to sip over long evenings in a pub. But unlike many of its imitators, Pilsner Urquell still has a generous dose of Saaz noble hops, with 39 IBUs. As such, it can sometimes seem closer to a pale ale than to one of the many lawn mower beers that borrowed its name. Florian Kuplent, of St. Louis’ Urban Chestnut Brewing Co., grew up in Bavaria, next door to the Czech Republic, and he often brews his own pilsners to test out new types of hops. For Kuplent, the key to a great pilsner like Urquell lies in its ingredients. In Portland, Devereux is building a new brewpub that will partially focus on craft pilsners. Pilsner Urquell is an inspiration, he says, in part because it pairs well with food. These beers were reviewed by Ken Weaver. 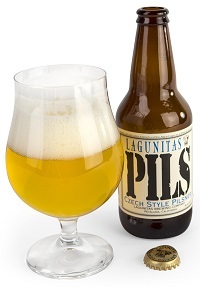 Tasting Notes: For many curious drinkers, Lagunitas Pils is one of the first inlets to lager that isn’t especially pale and forgettable. The brewery’s of course known for stronger, deeply hopped stuff. While noncitrusy, mineral and herbaceous hops are present here, the midsection still has that Pilsner Urquell slimness: decided reproducibility, with pint after pint of peppery hops and toasty pils malt. Tasting Notes: The aromatics on this are actually quite close to the softness of Pilsner Urquell’s: a pinch of spice, paper-thin maltiness, a whiff of dough. But the flavor’s a bit, for lack of a better appropriation, more American, with firmer hop bitterness than expected, opening up into grasses and fresh herbs. As this warms, that core maltiness expands to reveal this for what it is: simple and nuanced beer all at once. Tasting Notes: Its name coming from the Czech equivalent of “Cheers,” Na Zdraví offers up plenty of the style’s characteristic Saaz emphasis. The aromatics are spicy, peppery and silky smooth, the bitterness offset by crisp toast and almonds. It’s soft and layered. 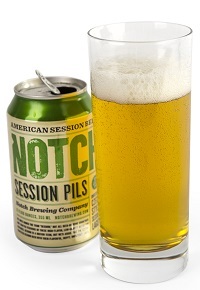 Then there’s the taste: vibrant bubbles undercutting fluffy pilsner malt and hints of both vanilla and almond. Smart Saaz and Nugget bittering make this one a pleasure. Evan Rail’s e-book The Brewery in the Bohemian Forest won a bronze medal from the North American Guild of Beer Writers. He lives in Prague.